again, i'm not too sure how they're breaking up major and minor characters, but i'm going to pick Detective Inspector Greg Lestrade. :) that's one that i never thought i would be typing because the character really does annoy me in both the cannon and the Granada series, but in this set, i adore him. he plays off both Sherlock and John really well. i'd like to see him go up against Mycroft one of these days. okay, i just gave myself the giggles there. 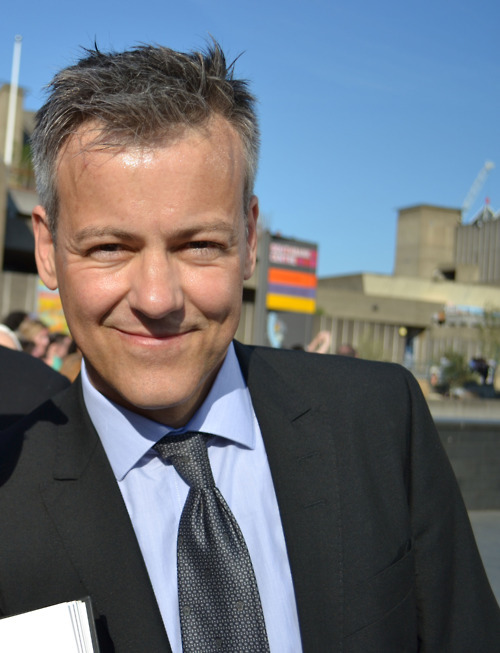 Lestrade is just a lot of fun. he's aware that he needs Sherlock, but hates that he does need him. though i get the feeling that he is fond of the man in his own way, as Sherlock is of him. i don't think the quote has shown up in this incarnation, but in the cannon Holmes calls Lestrade and Gregson "the best of a bad lot" when talking about Scotland Yard. from TBB, i get the feeling that Sherlock feels that way because he's not really happy about having to work with a new DI on the case.